Ekal Vidyalaya Foundation of Australia organized Ekal Nite 2009 - Baltarang Indo Kids Cultural Extravaganza - on 18th April, 2009 in Bankstown Civic Centre, Sydney. Bharat Lok Shiksha Parishad Jammu Chapter organized Annual Function on 6th June, 2009 at 4 PM in Jammu Club auditorium. About 300 elite citizens & personalities attended the function. Ma. 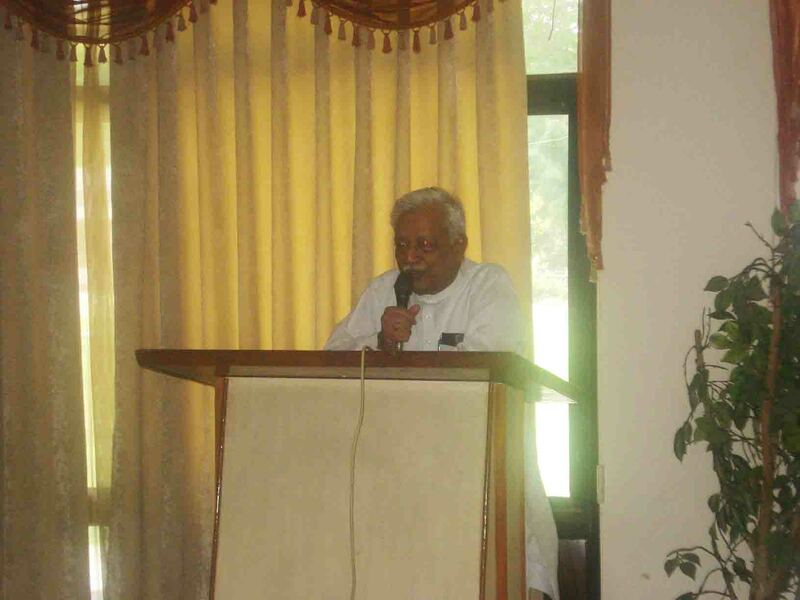 Shyamji Gupta, the mentor of Ekal Movement was the main speaker. Sri Shyamji emphasized the need of society to be involved in nation building and helping the deprived and Vanvasis. This neglected society has to be educated for which about 27,000 Ekal Vidyalayas are working. It has been decided to increase the number to one lakh villages soon. 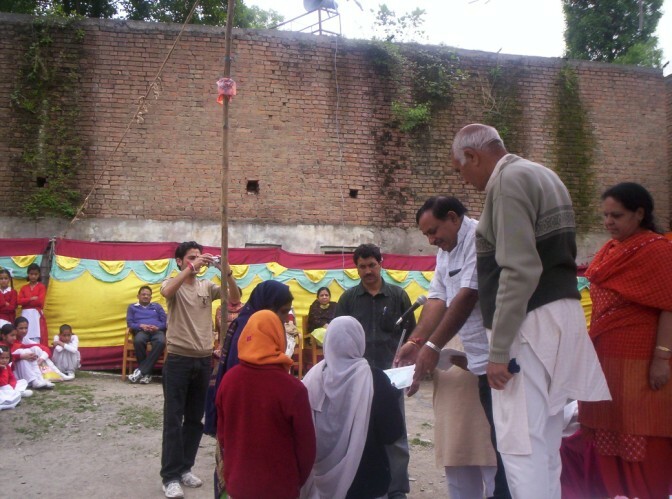 About 1200 Ekal Vidalayas are working in Jammu & Kashmir and the number will be increased to 2000 by April 2010. Ma. Shyamji appealed to the gathering to liberally donate and join the Ekal Movement in J&K. Sri Tara Chand, Honorable Deputy Chief Minister J&K was the Chief Guest. His gracious presence added special prestige to the function. He appreciated the efforts of Ekal Movement to reach to the deprived & backward areas to provide education. Giving his own example he told that he belonged to a poor & socially backward community and it was due to education only, he could reach to this high position. Sri Ashok Kaul, Prabhari of Ekal Movement in J&K, gave the detailed report of activities of the area where these Schools are working. He also appealed to the gathering for liberal donations for this noble cause. Sri S.K. 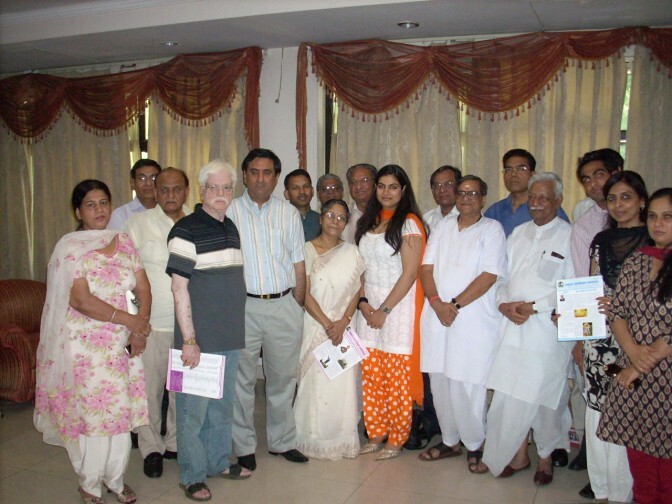 Jain recited a poem highlighting the activities of the Ekal Movement. The stage was conducted and managed by Sri Mohan Lal Gupta, Org. Secretary of the Movement. Wide coverage of the even was given by daily news-papers Daily Exclusive & Kashmir Times along with Amar Ujala (Hindi) and Dainik Jagaran (Hindi). First Annual day function was celebrated on 6th June 09 at North Indian Association Hall in Kochi. Padmasri K.Krishnakumar Chairman, Coimbatore Ayurveda Pharmacy Ltd. was the Chief Guest. The meeting started with lighting the lamp and prayer by Acharyas from Nenmeni Sanch Wayanad Dt. Sri A.Gopalakrishanan, Vice President, FTS Chapter Kochi gave the welcome address. In his address, he highlighted the functioning of FTS at All India level with 27000 schools serving over 8 lakh children. He pointed out that the organization is highly structured and transparent with effective systems and controls. Sri S.Sankaran, Secretary, presented annual report of FTS Kochi. The Chapter has enrolled 96 members and got sponsorship for 54 schools. He added that it is still a long way to go, to reach the target of 100 schools. He urged the members to join the Vanayatra and enjoy the warmth and affection of the tribal families. He stressed that vanayatra is as divine as pilgrimage. The Chapter had arranged two vanaytras in 2008. He also reported that Nalambur Samiti was inaugurated on 29th March 09 by Mr Jaiprakash, Forest Range Officer, in a grand manner and the ambulance gifted by BPCL was also launched. He commended Nalambur Samiti for running the ambulance on a self-sustained basis. Mr P.K Krishnamurthy shared his personal experience of Vanayatra to Marayur and recounted his vivid memories of visiting the FTS schools on top of the hills and the spontaneous reception and the enthusiastic participation of the children in all the programmes. Mr Venu, President, Ekal Educational & Charitable Society Kottayam, gave a felicitation address and complimented FTS Kochi Chapter for the good work done. Padmasri Krishnakumar in his inspiring speech gave a moving account of the plight of tribals and emphasized the urgent need for uplifting the most deprived community. He highlighted the potential of tribals with excellent skills in archery, athletic and sports activity which remain untapped. He commended FTS for the most challenging mission undertaken and the dedicated spirit of Karyakartas and acharyas. 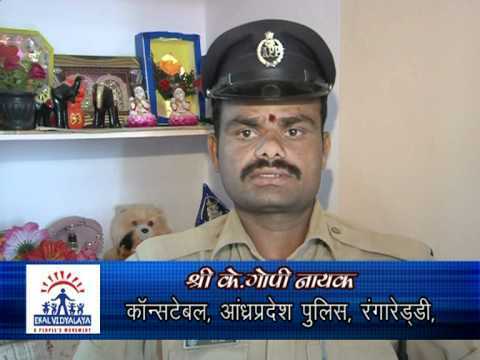 Sri C.P. Jain, Vice-President, FTS Chapter Kochi while proposing vote of thanks appealed to the members to give all-out support to this great mission to make it a success. The acharyas from Wayanad gave a colorful dance programme and rendered patriotic songs. The meeting concluded with national anthem. All the members enjoyed the delicious dinner and expressed their whole-hearted support to FTS. It is after one year of formation of Ludhiana Chapter, a public meeting was organized in the club ‘Satluj’ to spread awareness about EVM among whose who of the most important city of Punjab. With the blessings of Sri Dharamvir Bector and his wife Smt. Rajni Bector, their daughter in law Mrs. Samira Bector and Sri Vijay Mehtani, Secretary, with his wife Mrs. Priyanka Mehtani put all the efforts to make the event successful. Sri Ajit Lakra, President, Ludhiana Chapter was also present. Many big corporate house Proprietors and entrepreneur came to listen Ma. Shyam Gupta, who was the main speaker on this occasion. Sri Shyamji reminded the august gathering present in the Meeting Hall about the glory of Punjab which has been the pride of the whole nation. EVM is an unique enterprise, involving grassroot people to the top layer of society to accomplish ‘A New Bharat’ socially and economically empowered, he said. Deputy Commissioner Mr. Vikas Garg was the Chief Guest. He heard Shyamji and watched the documentary film on Ekal ‘Dastak’ which was shot in Jammu and Kashmir. 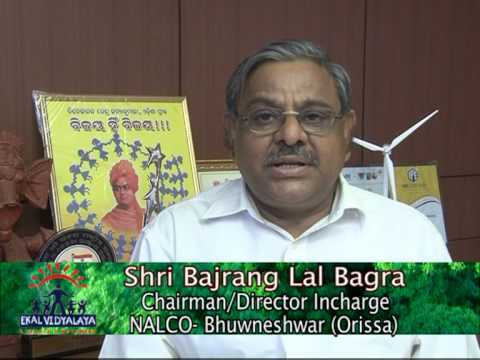 Later when he spoke, he confessed that the kind of work Ekal is doing, can not be done by Govt. machinery. He gave big support to Ekal and wished great success to it. The Programme was brilliantly conducted by Mrs Samira Bector, herself a well known social activist. Sri S.N. Bandhu, National President, BLSP, Sri I.M. Agarwal, Vice-President, Smt. Manjushree, National Organizing Secretary of EVM arrived from Delhi to attend the Meeting. In Punjab, 270 Ekal Schools are running in Fazilka, Distt. Ferozpur. Seven members of the Ferozpur Anchal Samity also attended the meeting. The event was reported in the print media. 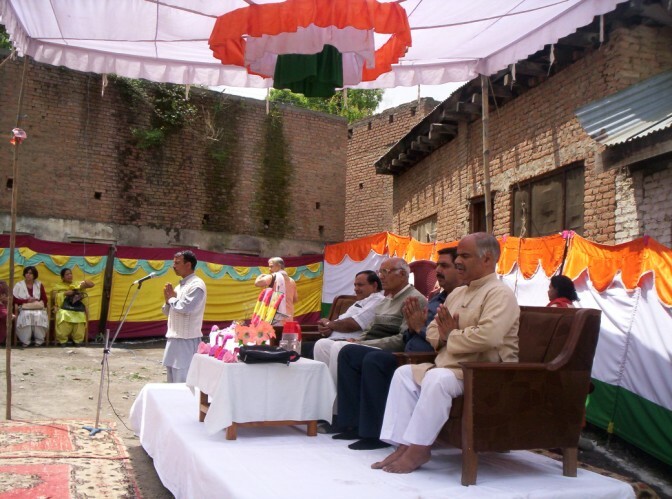 The Annual conference of Doda Anchal, J&K was organized at Bhadarwah on 4th of May, 2009. Inspite of being an inaccessible terrain having apparent threat of terrorism, the attendance in the programme was commendable. Ekal Karyakartas, Acharyas and local people showed great enthusiasm. Sri Ashok Kaul, Organizing Secretary and Regional Incharge of EVFI Dr. Harishanand were also present on the occasion. 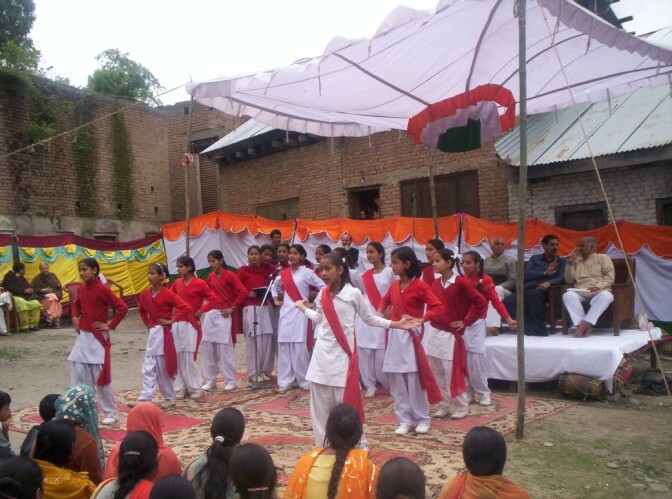 The students of Ekal Vidyalaya spell bound the gathering by their cultural programmes and patriotic songs. Ekal Vidyalaya Karyakartas of Ramanathapuram Anchal of Tamilnadu organized a Special children’s Camp on 28th May – 2009. The Children’s camp was conducted by the Children of Ekal Vidyalaya. 45 children from the town ofRamanathapuram studying in various English medium Schools participated in the camp. 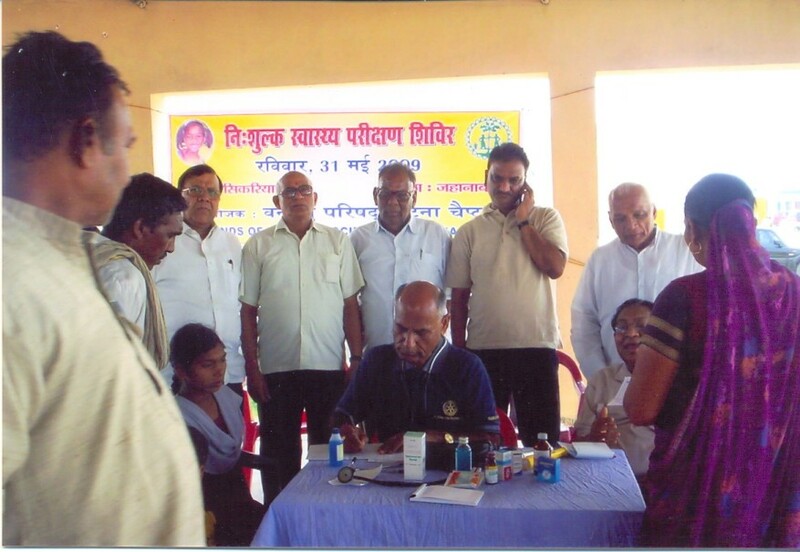 On 31st May, 2009 Patna Chapter of Friends of Tribals Society organized a free health check-up camp at Sikariya Village under Jehanabad District. A team of leading doctors of the town rendered their voluntary services in the Camp. 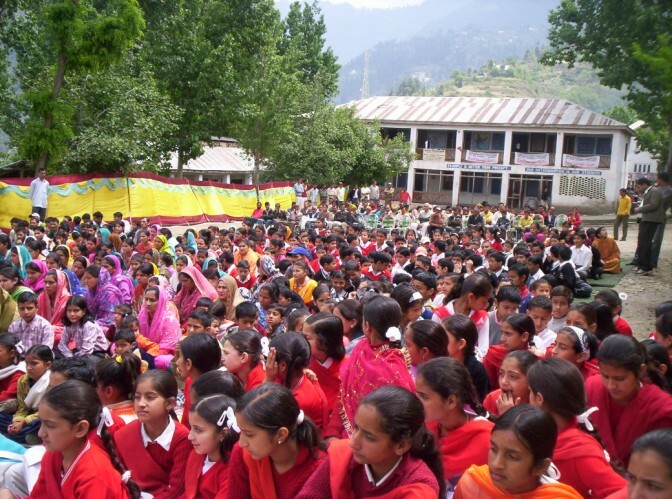 700 students and their parents of 4 Ekal Vidyalaya villages viz. 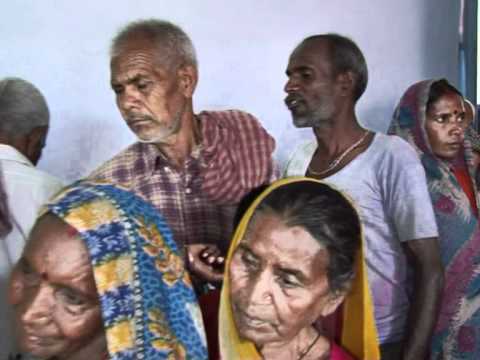 Sikhariya, Musepur, Bhepar and Sukul were medically examined and medicines were distributed to the ailing persons free of cost. Members of village Samiti, Sanch Samiti and fulltime workers of Gaya region actively took part in the programme to make it a great success. Wayanad Anchal of Kerala supported by Friends of Tribals Society Cochin, celebrated the Ekal Sangamam – 2009 on 31st May -2009.The venue was Panchayat Hall of Meenangadi near Sulthan Bathery of Wayanad District. All the Acharyas (Village Teachers of Ekal) & all the full time workers of the Anchal participated. 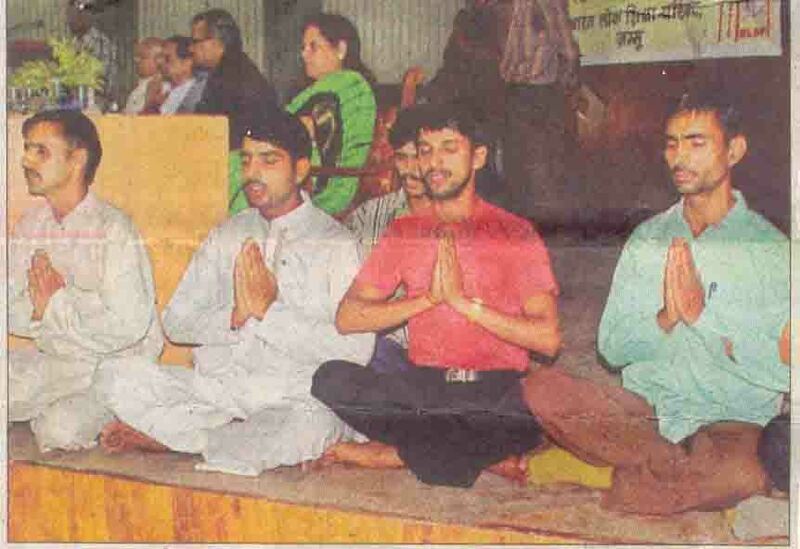 Many of the well wishers including members of various Samities also took active part in the program. Inter Sanch (Inter Cluster) competitions were planned. Prizes for the winners were distributed and the Sanch which got maximum prizes was given a Rolling Trophy. The NENMENI Sanch was selected as the winner for Trophy. While we were in India in February and March this year we had an opportunity to visit couple of Ekal Schools in Dang district of Gujarat. 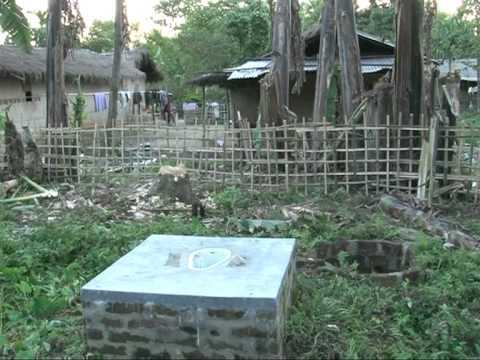 These schools were located in the remote area of Dang district where communication was the major headache and, therefore, nothing could be arranged instantaneously. Before we left United States for India we obtained some information from Houston office as to whom to contact in India in our area to arrange the visit. At a convenient time I contacted the person whose name was Sri Santosh Saratheji and talked to him about our desire to visit Ekal Schools. Since our village is close to Dang district, he suggested to go there and told me that he will contact me after all the arrangements are in place. After about ten to twelve days, he contacted me with the date and timings etc. On the travel date he started early in the morning from Surat by train and buses and arrived in our village around eleven O’clock. After a quick lunch we started our journey to Dang in car. Due to long distance and rough roads it took us to reach villages about five hours. The children and villagers were anxiously waiting for us. It was a life time experience to see how grateful they were about Ekal’s work in their life. We were received like an Angel. We were greatly impressed with our representative’s dedication who traveled with us tirelessly for almost fifteen hours to complete our mission. Next time we will allocate more time for such a mission.